How To Enter This Competition! 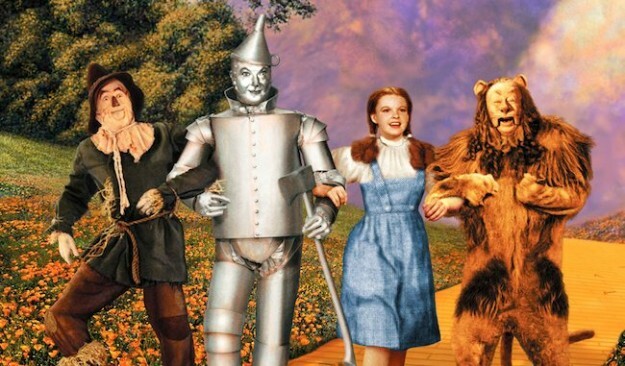 FilmJuice Competition: To celebrate the release of The Wizard of Oz The Official 75th Anniversary Companion we've got THREE copies to Give Away! For your chance to win, simply answer this question (entry details at the bottom of page): What year is The Wizard of Oz celebrating? Send your entry to competitions@filmjuice.com with the answer in the subject line of your email. Include full contact details. Good Luck! Seen by over one billion people worldwide since its 1939 premiere, The Wizard of Oz is more than a classic film; it is a cultural icon. Next year 2014 marks the seventy-fifth anniversary of the film, so what better time to celebrate this iconic book! 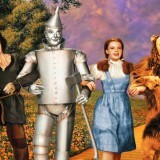 Written by the foremost authorities on the film-Jay Scarfone and William Stillman-and designed in close collaboration with Warner Bros., The Wizard of Oz: 75th Anniversary delivers an entertaining interactive experience, transporting readers over the rainbow and into the wonderful world of Oz. The authors reveal filmmaking secrets -the inspiration behind the film’s realistic tornado, why Dorothy’s shoes were ruby, and how to get a fleet of monkeys of fly. Plus never-before seen artwork from the authors’ personal collection, including, rare stills, Technicolor test frames, and costume and set illustrations. Additionally, the book will also feature nine removable features as well as several innovative graphic components, including a light-sensitive page that literally transforms a black-and-white image to color-to capture the classic moment when Dorothy opens her farmhouse door to Oz. More than your average anniversary edition, this book will be an absolute knock-out on the shelf; it promises to be the most definitive look at The Wizard of Oz yet.